NETFLIX’s The Crown will be back for Season 2 on December 8 with even more drama in the Royal Family’s private lives. Get a first look at the new trailer and images. I can’t tell you how much I adored binge-watching The Crown last year. You know how much I love my British historical romance and period dramas. Give me all the Lisa Kleypas, Tessa Dare, Pride & Prejudice, Downton Abbey, and Poldark! But you mean to tell me that there’s now a show that will take me inside the CURRENT British Royal Family with all the machinations, intrigues, and scandal?! NETFLIX, you did good! The Crown‘s first season begins with 25-year old Princess Elizabeth (Claire Foy) as she’s about to marry Philip Mountbatten (Matt Smith) in 1947. Just five years later, she becomes Queen Elizabeth II and deals with the responsibility of leading the most famous monarchy in the world. Politically, QEII finds mentorship and friendship of sorts with Prime Minister Winston Churchill (brilliantly portrayed by John Lithgow). She also turns to her mom, Queen Mother Elizabeth (Victoria Hamilton). However, for the most part, she defers to Parliament’s government, taking an advisory role, while she does the more ceremonial tasks and travels. Yet, in QEII’s personal life, she struggles. Philip is unhappy with being #2 in their relationship and lashes out. Elizabeth is put in the awkward position of managing her sister, Princess Margaret’s (Vanessa Kirby) romantic relationship with Peter Townshend (Ben Wiles), thought to be improper because he was a divorcee. All the while, we’re seeing the emergence of a British tabloid journalism that’s much less willing to abide by unofficial rules regarding the Royal Family’s privacy. Truth be told, I’m still shocked that NETFLIX has the permission to tell some of these stories. Of course, this is a dramatization of events, but I mean, the majority of these people are still alive and the scandals are… WOW. This week NETFLIX revealed that The Crown will return for its second season on Friday, December 8, 2017. They also debuted a new trailer (watch below) where we see the focus will be much more on the Royal Family’s private lives, especially Prince Philip’s extramarital affairs. Boo. 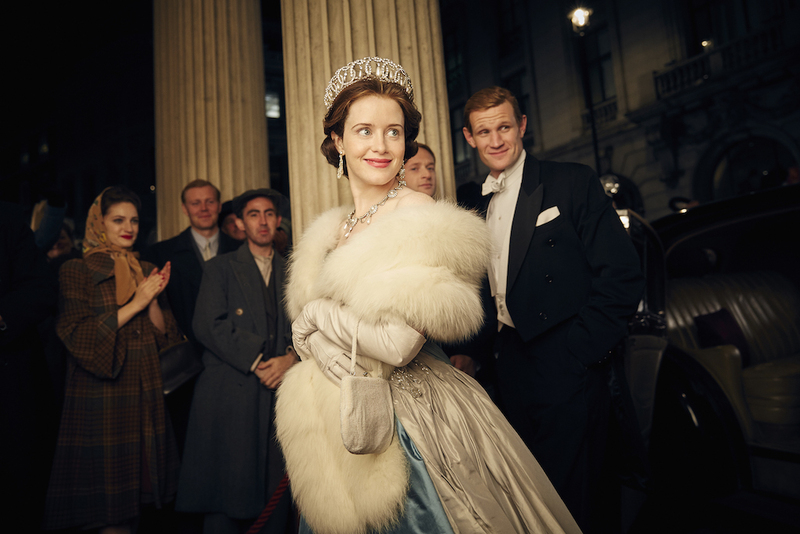 The series’ second season, which covers 1956–64, will follow Queen Elizabeth and Prince Philip (Foy and Matt Smith, reprising their roles for just one more season) everywhere from Tonga to Papua New Guinea, and even the Antarctic — while focusing more on their private lives as the family expands with the birth of Princes Andrew and Edward. In this first look at the new season, we see a much more self-assured leader emerging, even if things at home are still fractious at the onset. Thanks to NETFLIX, we have a six photo stills to share, including a look at Margaret’s new relationship with photographer Tony Armstrong-Jones (played by our boo-thang Matthew Goode). For even more photos, take a look at EW’s Fall TV Preview HERE. We even get a look at the Kennedys visiting Bukingham Palace (JFK played by Dexter’s Michael C. Hall, Jackie Kennedy played by Jodi Balfour). Have you watched Season 1 of The Crown? What did you think of all the drama? Share your thoughts with us in comments!